The incredibly amiable couple have crafted much of their current musical oeuvre with Michio Kurihara (Boris, Ghost), thus becoming a pivotal part of the evolution of Damon & Naomi. Yet Australian audience will have to wait a while longer to see that incarnation in the flesh. The absence of a rhythm section may seem like an aberration, or even a necessary evil for such an outfit, but like most things about Krukowski and Yang, nothing is that straightforward. “Although it’d be fun to get Bootsy Collins in some time, get people dancing,” Yang states cheekily. 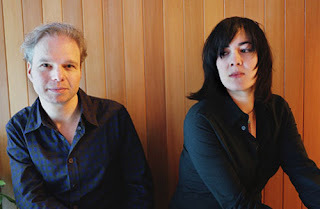 The “legacy” of Galaxie 500 has hung over Damon & Naomi ever since the band split in 1991, yet the brevity of that outfit speaks volumes about the pair. They have truly grown as songwriters and as people side by side, and it’s allowed them more personal and spiritual development than Galaxie 500 ever would have. The last two albums Damon & Naomi produced stands by that aesthetic, yet embodied emotions and themes that were very much the polar opposites of each other. Within These Walls dwelled in the disruption and despair that a tumultuous, dark series of events can cast over one’s life at any given moment, whilst False Beats & True Hearts offered a buoyant counterpoint, the light at the end of the tunnel. The immediacy of the new record was something that they really wanted to stress. A Damon & Naomi show is one of nuance and envelopment, requiring the audience to step outside of their own selves and immerse themselves in the performance. Yet crowds are fickle beasts, and not always guaranteed to offer the space that is required to maximise the experience. The past couple of years has seen the other Galaxie 500 founder, Dean Wareham, touring the band’s music on his own, revisiting the iconic material in its entirety without Krukowski and Yang’s input. The situation doesn’t offend the pair so much as perplex them.